A manifesto is a published verbal declaration of the intentions, motives, or views of the issuer, be it an individual, group, political party or government. Hey you! Welcome to my site. I like to call it my creative space. If you ended up here you might know me in some way. If you don't, feel free to stay and hang around a bit or say hi. Although there is not much to see at the moment, this will be my creative space which I will fill to my heart's content. It will be a mixture of a blog, a portfolio and a creative playground in which I want to document different things. Photos, films, experiences, thoughts, ideas. It is currently empty and that's good. It is a clean piece of paper that I will fill up soon. Who does not like that liberating and some times intimidating feeling of a clean sheet. But why make this website you say? Among other reasons, I want to clear my mind. There is so much going on in life and in my head that I need space to write things down, document and eventually show to people. It feels liberating to share ideas and thoughts and I want to have my portfolio in a place where I can choose what it looks and feels like. It might even start interesting conversations or collaborations. Who knows? Why do it on the web? You can document things in a book and write with a pen. I like doing most things digitally and it gives me the chance to learn more about how to make my own website/blog. I am Dennis and I am a filmmaker and photographer living in Berlin. That is all for now because you will find out more soon on another post! My next step is to stop imagining questions people could ask me and actually get things done. Ok, enough of this. 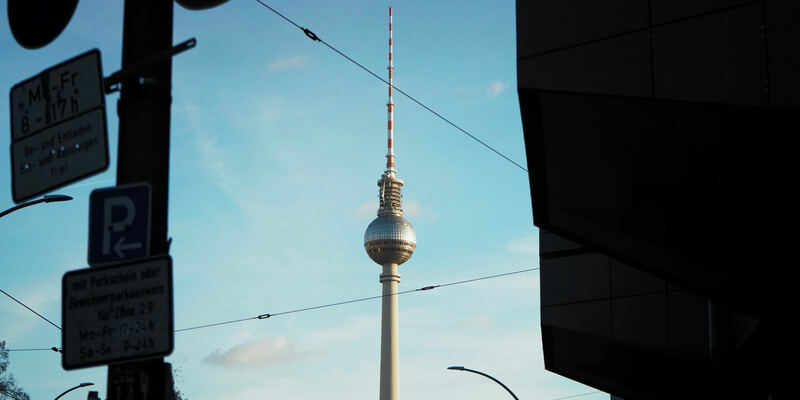 Berlin's TV tower photo was taken by me.